Facebook ads can take up a significant amount of a marketing budget, especially for small and medium e-commerce business owners. Since online brands are now able to connect with customers all over the globe, it only makes sense to advertise on the most popular social network worldwide. Plus, consumers are becoming far more comfortable with using it as a resource for researching products and businesses. 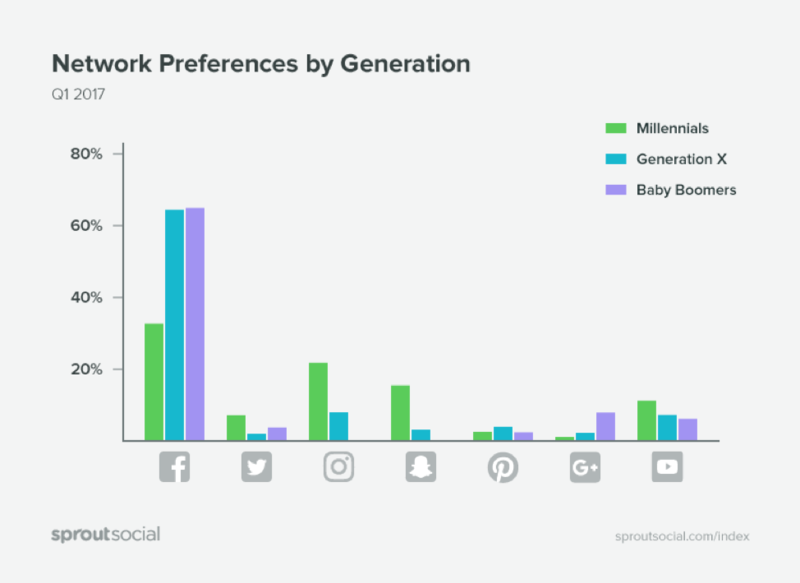 According to Sprout Social’s report on social media, Facebook is the most preferred network for all generations of consumers. Furthermore, 71% of consumers are more likely to buy from a brand after having a positive social media interaction with them. Advertising through social media is money well spent, but only if you’re getting excellent results. Unfortunately, many e-commerce companies lose a lot of money with Facebook ads because they don’t know how to use them correctly. There are certain elements online companies need to include in their social media strategies in order to guarantee their success. However, many eager brands just dive into Facebook advertising without putting much thought or strategy into their efforts. Is your e-commerce marketing team guilty of making these five common mistakes? Since Facebook offers so many options for ad placement throughout their website, it can be tempting to try all of them without giving much thought to it. However, you get far more bang for your buck with some strategies over others, so going at it with no real direction can end up hurting your budget in the long run. Another common mistake that businesses make is allowing Facebook to do the placement positioning for them. While this does make it easier by automating the process, it obviously limits or eliminates the control that you have. Similar to how an online retailer needs to know how their customers interact with the search engines, you need to know how your audience interacts with Facebook for the most ideal placement. Are the majority of your customers browsing on mobile devices or desktops? Are they scrolling through the newsfeed or would your ads be better placed in the messenger app? The answers to these questions lie in your audience data and a little trial and error. Test out various campaigns and watch the results to determine the best plan for further actions. One of the greatest features that Facebook advertising offers is the power to take control over who views your content. Sadly, many brands either ignore this option altogether or do not utilize it to its fullest potential. 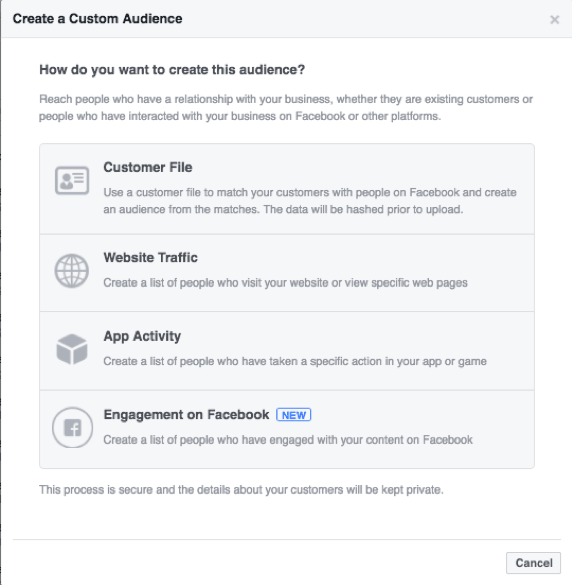 Facebook offers four ways to start off the process of audience segmentation. One option is to base your targeting on customer account files that describe your ideal audiences. You can also target people who have visited your website in the past or who have completed a certain action, such as downloading an app or viewing specific content. 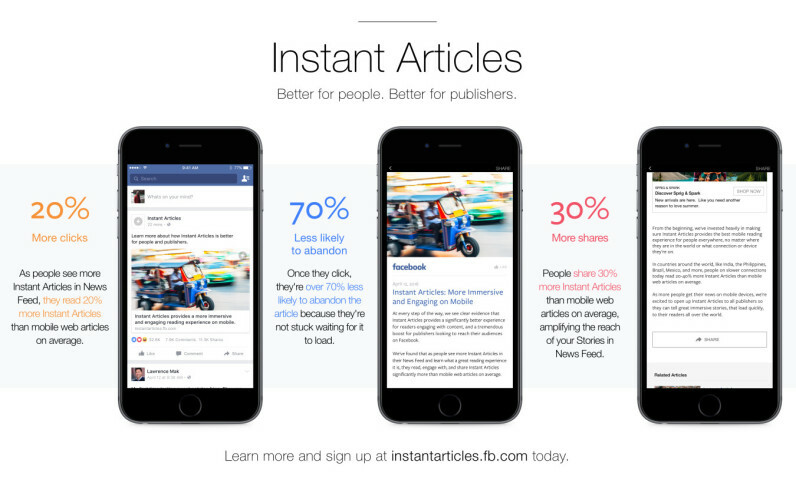 And finally, you can now target customers who have engaged with your brand’s Facebook content. All of these options are equally strong if they are utilized correctly. To reiterate, online consumers can come from all over the globe. Just like an e-commerce store would need to customize their online storefront and gear product placements for different demographics, you need to segment your Facebook audiences around factors like location, age, language, and interests to match up with intent. Since Facebook offers so many options for advertising, brands often choose their marketing content types haphazardly. 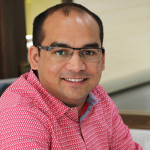 But choosing one type because it is easier and faster to produce or any other non-strategic reason could limit your marketing strategy’s effectiveness. Again, your team will need to pay close attention to how certain segments react to this targeting, and the messages may need to be adjusted based on that audience’s history. For example, if a customer has already visited your website and you choose to retarget them, they are already aware of your brand. Instead of just sponsoring your brand name, it would be better to recommend a product that they viewed or promote a sale that is going on to hopefully lead them back to your website and complete a purchase. As you are reading this article, you may have noticed a piece of advice that is constantly repeated when it comes to Facebook advertising: tracking your results. There is absolutely no way to determine whether or not your Facebook ads are converting or performing properly if you do not collect and analyze data. Thankfully, Facebook makes it fairly easy to track important metrics like engagement, reach, ROI, and click rates. Through the ad manager database, your marketing team can view the results of each campaign and measure the performance in terms of audience, brand, and sales outcomes. 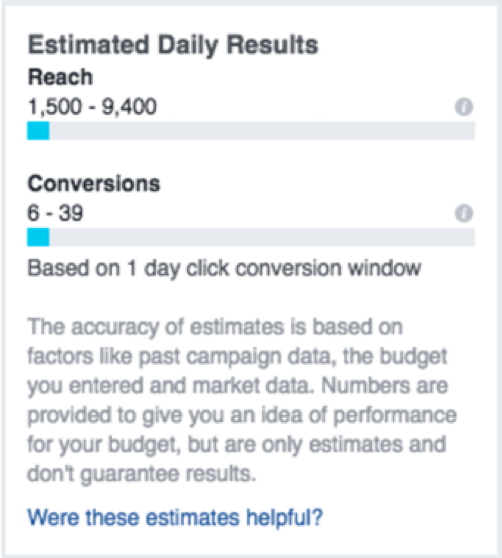 Facebook can also estimate your campaign’s results once it has collected some data, which can be very helpful if your team is trying to determine a certain promotion’s effectiveness. Your customer data is key to making smart advertising decisions, but the quality and quantity of the information are absolutely critical. Although you can edit your Facebook advertising campaigns fairly easily, it is obviously not ideal to keep changing things as your team sees adjustments that should be made based on new analysis. 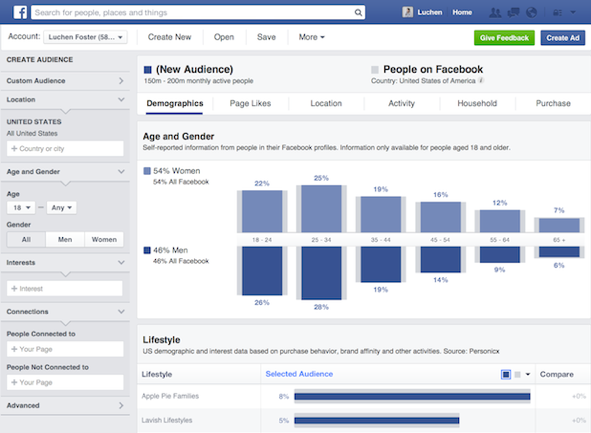 Your Facebook Audience Insights dashboard is a good starting point for creating campaigns, but if your objective is to gain new followers or increase brand recognition, then you will need to understand more about your current customers. Make sure that your website is optimized to track consumer behavior and collect customer information to give your marketing team the insight it needs to create highly converting social media ads. It is important to be patient here. Collecting a robust library of data will take time, but it will positively influence your advertising results in the future. Since establishing brand recognition and cultivating engagement with customers is vital to online businesses, Facebook is one of the most powerful tools to reach specific audiences. Advertising through this platform can be quite effective, but it is certainly not as easy as it appears. There is a lot of thought, planning, and strategy that must be put into each campaign if it is going to be successful. Be sure to avoid these common mistakes that could be hurting your marketing efforts and adopt smarter, data-driven approaches for better results.